Picking just the right fabric can be a challenge, especially when it comes to knits. 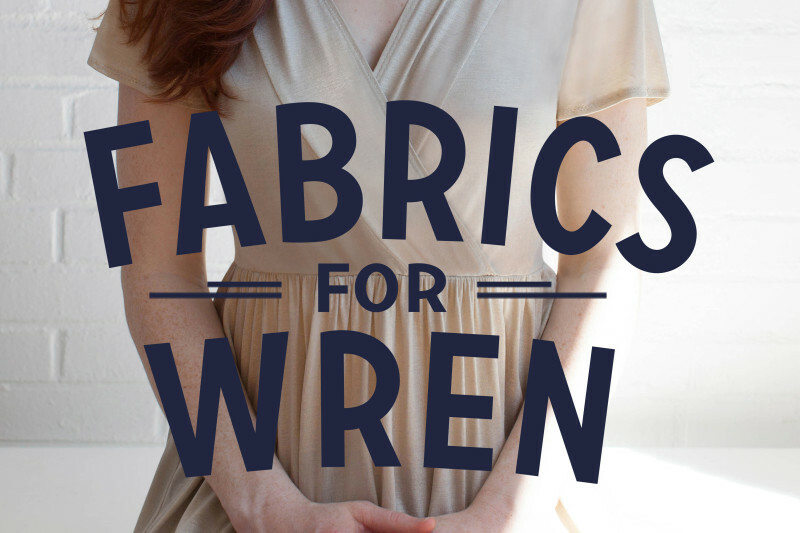 Wren offers two distinctly different views that require two very different fabrics. Version 1 necessitates a knit with ample body and good recovery for its fitted silhouette, while version 2 requires a knit with more drape but ample recovery. 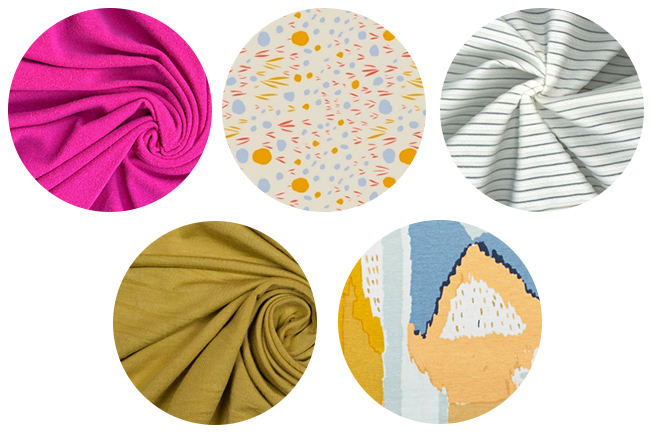 Here we have outlined 5 gorgeous fabrics from some lovely retailers for you to stitch up your next Wren dress. 1) Pleather Scuba Knit from Stonemountain and Daughter. 2) Heathered Blue French Terry from Stonemountain and Daughter. 3) Floral Print Ponte from Girl Charlee. 4) Coral Rib Knit from Stonemountain and Daughter. 5) Black Stretch Velvet from Harts Fabric. 1) Slubbed Silk Knit from Harts Fabric. 2) Abstract Dots from Modern Domestic. 3) Fine Stripe from Harts Fabric. 4) Bamboo Jersey from Mood. 5) Abstract Painted Knit from Fancy Tiger. What are you making your Wren out of? I really like Version 1 and want to make it out of a French Terry for winter. I know it’s the sleeveless version, but is there any reason I couldn’t add the 3/4 length sleeves to it? The sleeve can be used for both views. That sounds so cute and cozy! Yay! Thanks…I can’t wait to make it! I’m making version 2 to give to my sister for her birthday out of a gorgeous Liberty jersey – I’m having to fight the urge to keep it for myself! can you please tell me where I can find these jerseys ? I haven’t decided yet….i’m leaning towards version one. 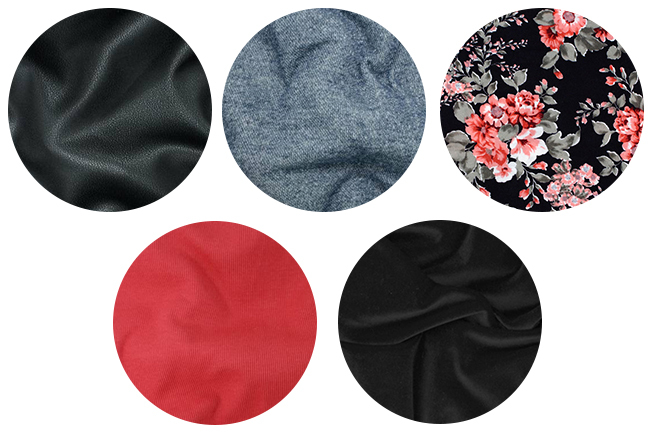 Thank you for picking out some fabrics for us…that is the most difficult part especially if you’re buying online. What kind of fabric is the pink version of the dress on the page header….It caught my eye. Thanks. The jersey I picked for version 2 is extremely slippery. I have to sew each seam between two sheets of tissue at a very slow pace. It’s kind of discouraging, but I’m hoping to finish it this weekend. I will not pick a fabric that slippery again.